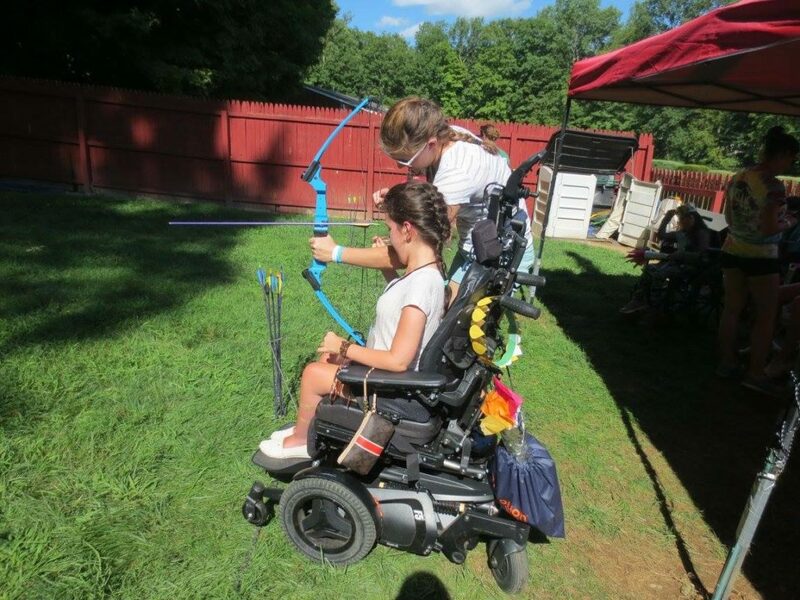 Editor’s note: For many summers, New Jersey State Ambassador Anna attended MDA Summer Camp, but 2016 was her final year. Though there were tears at the end of the week, Anna credits her experience at camp with the chance to experience independence, create lasting friendships and truly realize her potential is unlimited. Anna will be headed to college in the fall, and her story shows that, though it may have ended, MDA Summer Camp gave her many new beginnings. At seven years old, my mom dropped me off at MDA summer camp for the first week I’d ever spend without either of my parents by my side. I left home with a few stuffed animals and my favorite set of sheets, unsure of what to expect. But within an hour of arriving at camp, after I’d met my counselor and the other girls I’d be spending the next week with, I was practically forcing my mom back down the pathway back to her car, ready to be on my own for a week of independence. I still have a faded Kodak picture of 7-year-old me, leaning on the porch railing in front of my dorm as I waved goodbye to her. Some of my earliest memories involving MDA are from that first year at summer camp. But unbeknownst to me at the time, MDA had been helping my family far before I became a camper. When I was only two years old, our local office donated money that allowed me to get my first manual wheelchair. I could finally keep up with the kids at daycare, using my wheels to mirror the independence they got from their legs. And MDA has helped far more children than just me — as I’ve met other kids and parents affected by muscular dystrophy, I’ve seen that MDA’s reach is far and wide. A lot of MDA’s work consists of giving families and children medical aid, like loaned equipment or specialized care. But the most valuable contribution this organization makes is the sense of social support that every MDA volunteer, employee and office brings to the people they serve. Parents know that they have access to a group of individuals who, like them, will do everything they can for their children. And kids themselves discover a whole new world of people who understand the unique challenges they face due to various forms of muscular dystrophy. And MDA doesn’t just raise money for research into treatments and cures; its goal is also to help families where they need it most in their everyday lives. All too often people get caught up in working towards a cure for the different types of muscular dystrophy, while forgetting about how families can be helped in other ways. But MDA champions care, advocacy and support, never forgetting that making a difference doesn’t have to mean finding a cure. It just means improving the lives of those living with muscular dystrophy, one small action at a time. MDA has been a part of my life for over a decade and has given so much to my family and other families across the country. I went to camp for the first time when I was 7 and for the last time this past summer as a 17-year-old. Camp was the beginning of my personal relationship with MDA, but I don’t want it to be the end. The people I’ve met and the experiences I’ve had specifically because of MDA’s work have taught me how much of an impact one organization can make. Now, I want to be a part of ensuring that other children and families can benefit in the same ways I have. 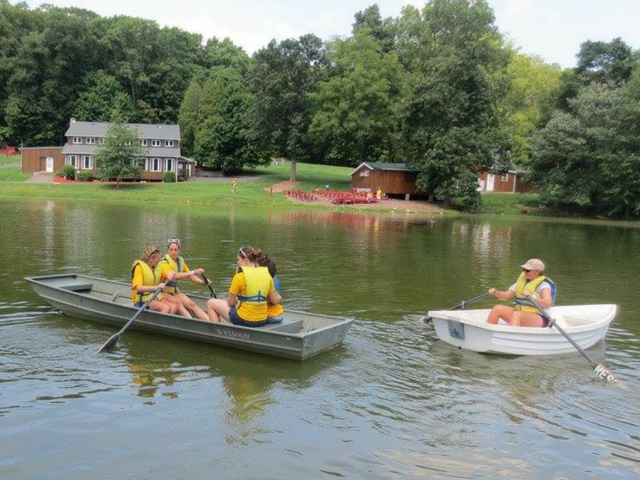 Going to any type summer camp is an important part of many kids’ lives, and the experience shouldn’t be denied to them due to the existence of a physical disability. MDA camp foments a child’s autonomy and independence and their ability to advocate for themselves in a safe environment. I’ve seen so many kids come out of their shells to gain confidence and friends through camp, just as I have myself. It’s an opportunity to live and play with others who face the same everyday challenges that come with muscular dystrophy. I’m so glad to have had the privilege to attend MDA camp myself, and so thankful to those who made it possible.